We offer comprehensive support of CVM-owned computing equipment, as well as guidance in technology-related matters to the CVM community. We provide guidance on recommended technology prior to purchasing departmental or personal equipment for use within the CVM. By checking with us first, you can ensure your smartphone, tablet, personal computer, or other device will work with the resources of the College you need for your job or education. Please avoid contacting an individual directly when requesting help for a new issue. Our phone and email contacts are set up to make sure we can respond as effectively as possible. Access to individuals can vary. For general issues (email account help, WiFi configuration, etc.) 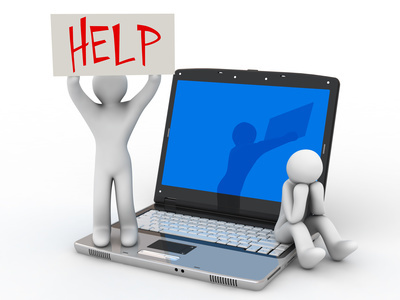 that don’t require CVM-specific expertise you can also call the Division of IT central help desk at 882-5000. As a college we try to make it easy to learn and work using a wide range of devices, whether that means remote access to clinical systems or working with networked files from your personal laptop or phone. These “BYOD” tools can be great for getting things done on the go, but they come with responsibility when used for work and study. Guidance prior to selecting a personal computer or other device – what works well for typical CVM and MU interaction. Assistance setting up email and Box access. Setup of VPN, remote desktop, and shortcuts to CVM resources. First-pass troubleshooting – advice on ways to resolve problems or referral to resources for more involved help.